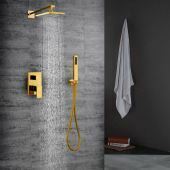 Comes with antique look, wall mount square shower head, straight handheld shower and several handles, this contemporary shower faucet has modern design. 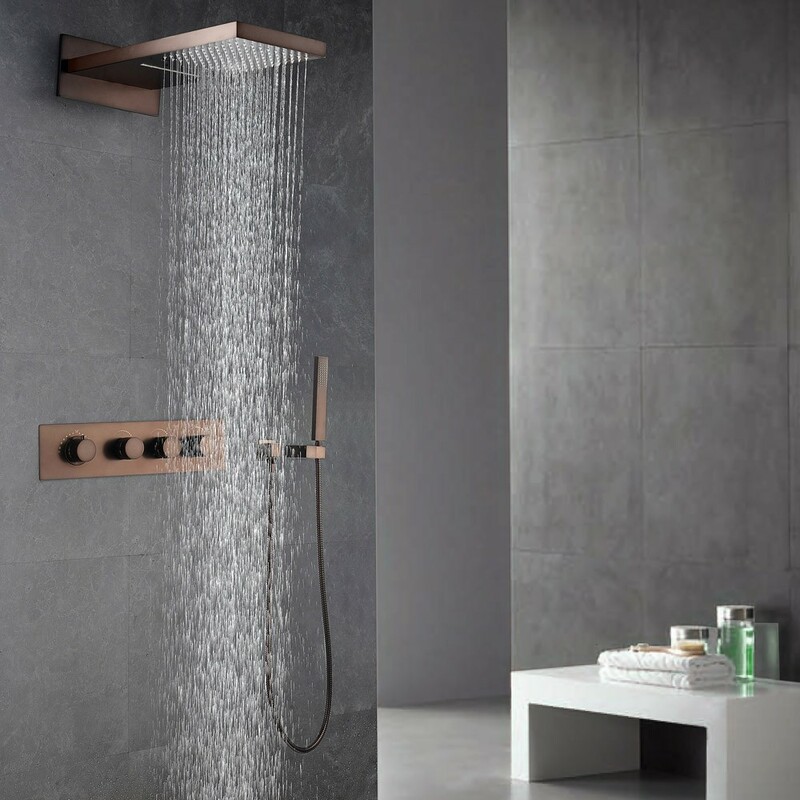 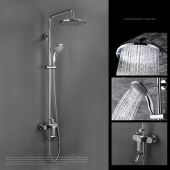 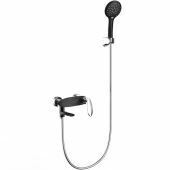 The antique design makes it elegant, the wall mount shower head and straight handheld shower deliver waterfall, and the handle controls the water flow and temperature conveniently. Don't hesitate to take it back home for your elegant bathroom! 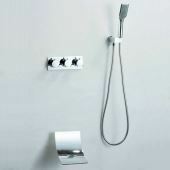 - Comes with thermostatic shower valve, which features scald prevention. 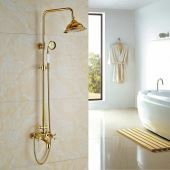 - Constructed from solid brass and 304 stainless steel (shower head) for durability and reliability. 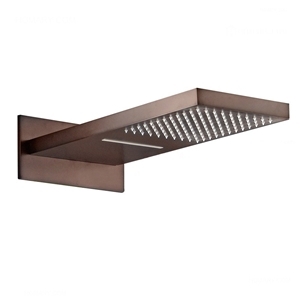 - Finished in a high quality, corrosion resistant oil rubbed bronze. 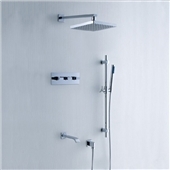 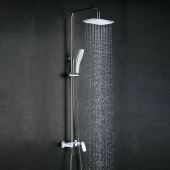 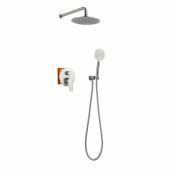 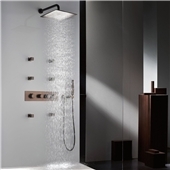 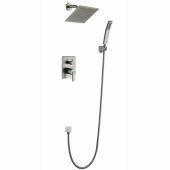 - Includes wall mounted waterfall rain shower head, hand shower parts and 3-function shower valve. 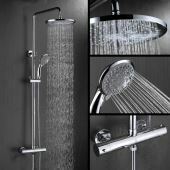 - Dual functional waterfall rain shower head comes in 22" x 9" x 1.2" (560mm x 230mm x 30mm).